If you are suffering from eye-related allergies and are searching for South Jersey ocular allergy doctors that provide comprehensive eye care, try calling the offices of South Jersey Eye Associates. We are based in a high end facility in Bridgeton, NJ, a short drive from Vineland and Millville. Our optometrists and ophthalmologists are trained professionals in all types of vision treatment, including addressing irritating and painful allergic conditions that cause itchy, burning, and watery eyes. Whether your allergies are year round or seasonal, you know how it can affect your quality of life. The red eyes that affect your appearance, or the watery eyes that require tissues frequently, all can change your focus and require you to seek cleaner air or close your eyes repeatedly. 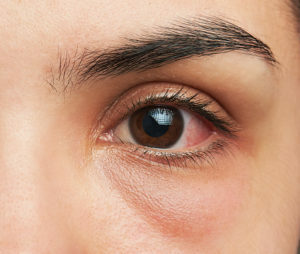 The South Jersey ocular allergy doctors at South Jersey Eye can diagnose your problem and recommend a specific course of action to address your condition. Our on-site staff stays on top of the latest eye conditions and treatments, and we employ the latest in eye exam technology. We can also help you diagnose whether your symptoms are allergy-related or caused by a more serious condition. Your dry, burning or itchy eyes could be caused by allergies to certain environmental conditions, or to medications you have been taking. If you are suffering from Dry Eye Syndrome, it’s important for you to address the problem, because it can grow worse over time. South Jersey Eye Associates provides specialized and personalized care, because we believe in making your experience as stress-free as possible. SJEA accepts all major insurances, including Medicare. If you’re a Philadelphia area or South Jersey resident looking for a thorough diagnosis and for the right treatment for your allergies, call our South Jersey ocular allergy doctors today for an appointment. We look forward to giving you irritation free eyesight again.